We have been recycling printer cartridges for over 18 Years with over 250,000 cartridges successfully recycled saving customers on average above 50% on their printing costs.. Please allow about 30 mins to our WhileUwait refill service. Where we do not offer a refill service most cartridges will have a Original and a Compatible option. 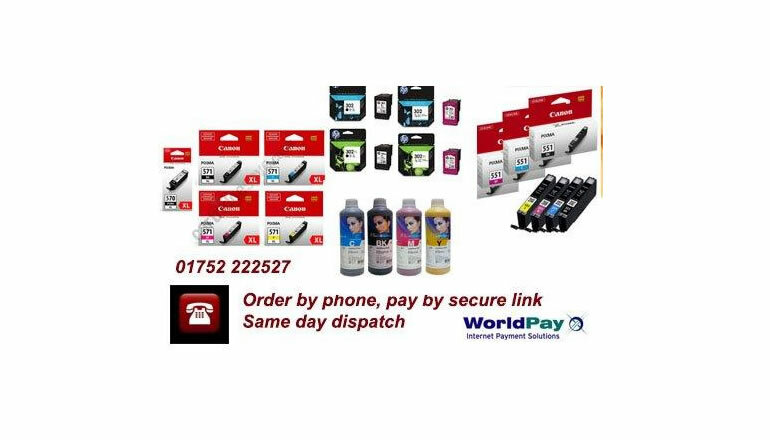 Please phone for all your mail order needs with same day 1st class dispatch as normal.